So if you are a subscriber of CutePolish on Youtube, you must have seen her latest tutorial on this manicure inspired by the character "Evanora"(Wicked Witch from the East) from the new Disney movie "Oz the Great and Powerful". Fierce Makeup and Nails also did a great recreation of this look as well, check it out here. 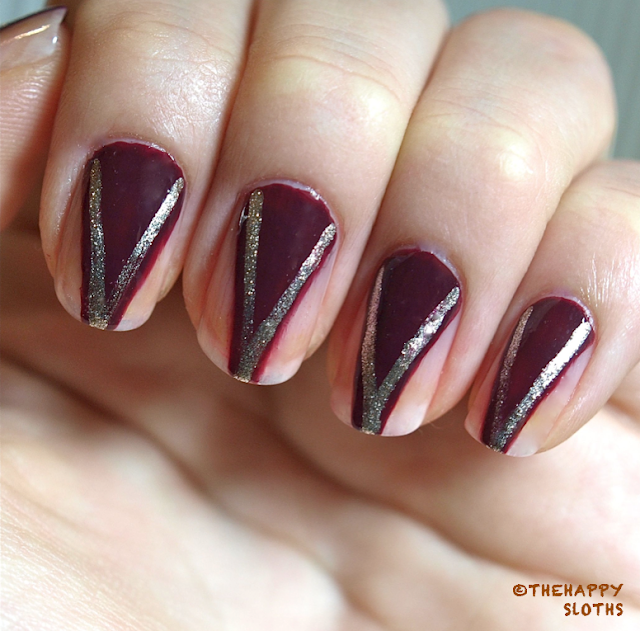 As you can see, I was too lazy to do a sheer base coat to blur out the the lines on my nails. Also, my nails were pretty horribly stained by that green glitter ("Lucky" from Julep) I wore a few weeks back because I once again neglected to use a base coat. Everything is free-handed, I used a fine-tip paint brush I purchased from DeSerres years ago. The pale gold is "Sienna" and the burgundy is "Keira". 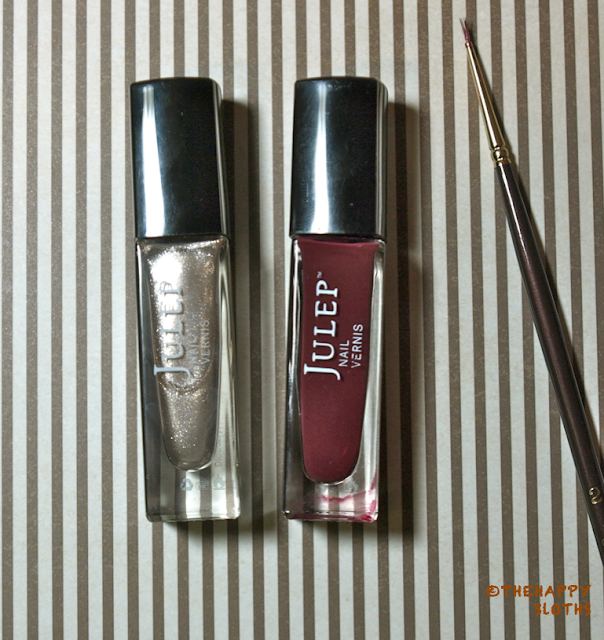 Both are from Julep. So, what do you guys think. I know this is sort of unconventional and I have gotten pretty mixed feedback from people. 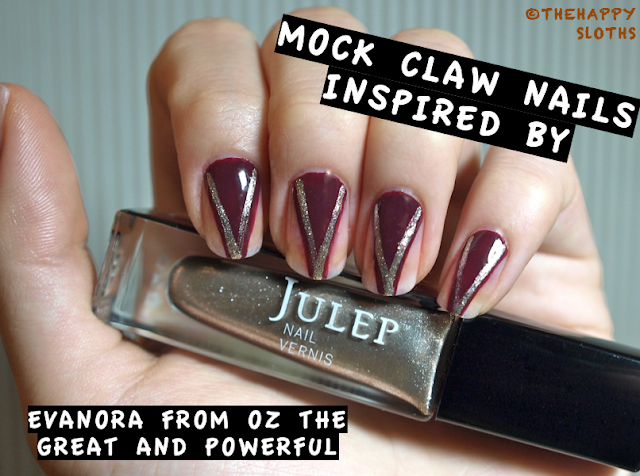 Do you like the mock claw effect? Would you try this? Do let me know in the comments, thanks for reading!